Need to touch up your makeup on the go? Try Cowgirl Dirt Pressed Foundation for a lightweight medium coverage that allows your skin to breathe. Our mineral blend of essential amino acids, vitamins, and proteins are designed to moisturize, protect, and soothe your face. Cowgirl Dirt Pressed Foundation is formulated with our other foundations’ coloring in mind, making it easy to transition between the Pressed and Mineral Powder Foundations, and Southern Belle Cream Foundation™. 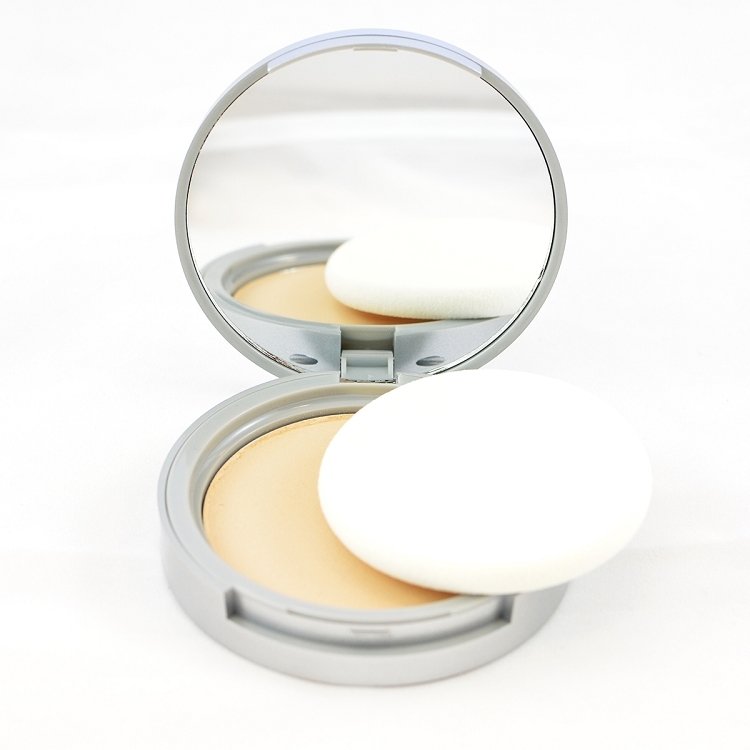 With Cowgirl Dirt’s Pressed Foundation in your saddlebag, you will always have great coverage. 9gram compact. Comes with an application sponge. 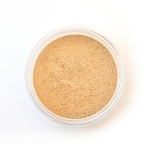 Find your perfect shade by trying a sample of Mineral Powder Foundation. I had ordered some of your samples to get the appropriate shades for my coloring and decided to try the pressed foundation since it was on sale. It exceeded my expectation which rarely happens today for any product! Thanks for such wonderful pure ingredients in your cosmetics. Will be ordering more in the future and sharing with others! I really like this powder foundation! Great coverage and it seems that my skin isn't as oily. Love this powder foundation! great coverage and it doesn't even feel like you are wearing anything! I've struggled to find a natural foundation that matches my skin for a long time. I used to just settle for one that was too yellow, but a friend recommended Cowgirl Dirt, and my sisters and I love it! Champagne 3 is a great color for me, not too yellow, not too pink, juuust right :) I also like that I can control how much coverage I want, or use it as a touch-up. And who doesn't want to whip out a compact and "powder her nose?" :) Thanks Cowgirl Dirt! We love love the pressed foundation. I am not a foundation wearer...just mostly natural kind of girl. But this presses powder goes on smoothly and lightly offering a nice smooth finish to my skin. perfect!! After trying many, many, kinds of base makeup, I found the perfect one for me. This powder foundation goes on sooo smooth and has excellent coverage...couldn't be happier! I have very light skin and have found issues with finding a good match, but the Champagne Two is perfect. I have used the other foundations from Cowgirl Dirt, as well and I like them to, but this is my favorite. Love how light it feels on my skin! I like this product very much. It is the first time that I have ordered and I have to admit that I was surprised by how "powdery" it was, but that is only because my prior compact (from a different co.) was a bit creamier. In hindsight, I probably should have ordered the other style compact, however; I still use it and love, love how light it feels on my skin. It will be especially great for those high temp days of summer. My plan is to purchase the other style as my wallet allows. Oh...and the color is wonderful. I feel very fortunate that the color that I ordered (the first time) worked with my skin tone. Your chart was a great help!!! The benefits of our organic, natural Pressed Foundation are endless. Here are just some of those amazing benefits. All ingredients are vegan. Allantoin: This cell multiplier and skin protector helps stimulate new and healthy tissue growth. Certified Organic Jojoba Oil: This oil aids your skin with nourishing and hydrating powers. Certified Organic Non-GMO Coconut Oil Extract: This antimicrobial oil rejuvenates your skin by softening and moisturizing it. Certified Organic Non-GMO Lecithin: This restorative, rebuilding agents supplies the skin with Vitamin B and reduces cholesterol buildup on the skin. Zinc Oxides: This natural UVA and UVB protection helps keep your skin healthy and protects you against damages from free radicals. Apply a thin coat of Pressed Foundation onto the application sponge. Starting at the outside perimeter of your face working your way in toward your nose and cheeks, apply the foundation in a swirling motion. Keep applying the foundation until you have reached the desired coverage you are looking for. For a lighter application, apply the pressed foundation with the Large Foundation Brush. Light shades are numbered 0, 1, 2, and 3. Dark shades are 4, 5, 6, and 7. 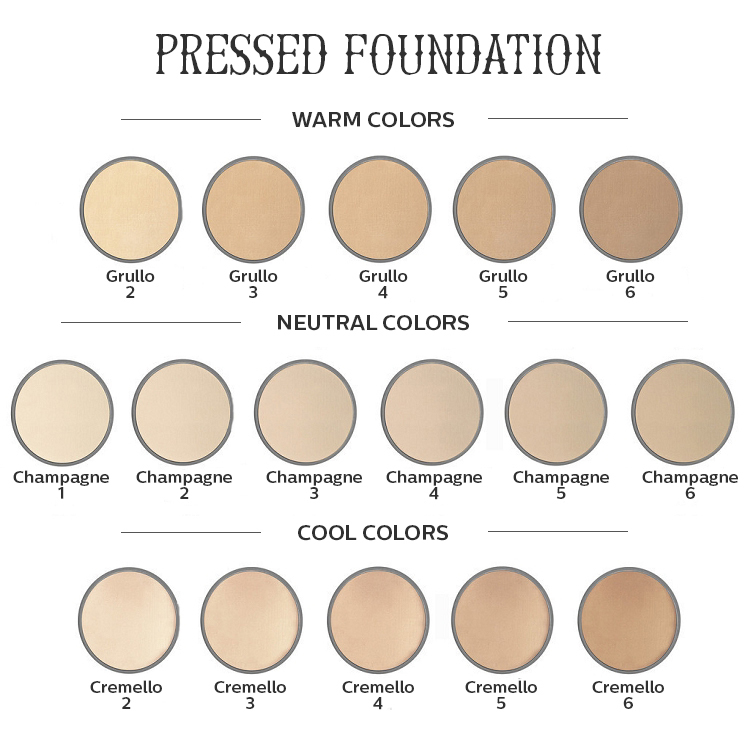 No matter what your skin tone, our specially formulated Pressed Foundation can help to complete your look. Q. Does your pressed foundation contain nano particles? A. No. All Cowgirl Dirt products do not use nano particles. We do use micronized size particles, which range between .31 & 44 microns, which are 310 - 44000 times larger than nano size particles. Q. I am interested in trying your Pressed Foundation. I would just like to check on whether the silica you use is hydrated or crystalline. A. Our silica is hydrated/amorphous, not crystalline. Q. Are any of your vegetable ingredients corn? A. Our Magnesium Stearate is derived from palm oil, and the vegetable starch is potato starch.